Be sure to set your alarms for the 2018-19 school year! 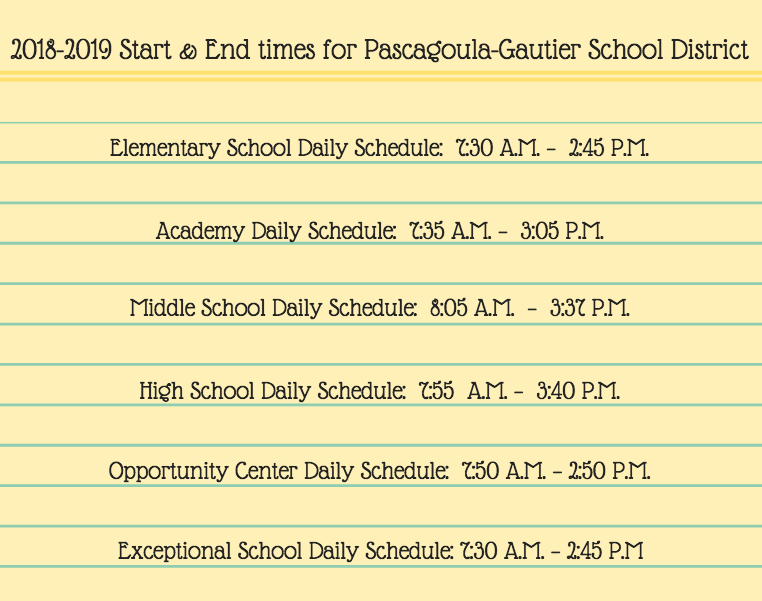 Elementary School Daily Schedule: 7:30 A.M. – 2:45 P.M.
Academy Daily Schedule: 7:35 A.M. – 3:05 P.M.
Middle School Daily Schedule: 8:05 A.M. – 3:37 P.M.
High School Daily Schedule: 7:55 A.M. – 3:40 P.M. 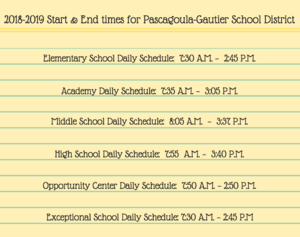 Opportunity Center Daily Schedule: 7:50 A.M. – 2:50 P.M.